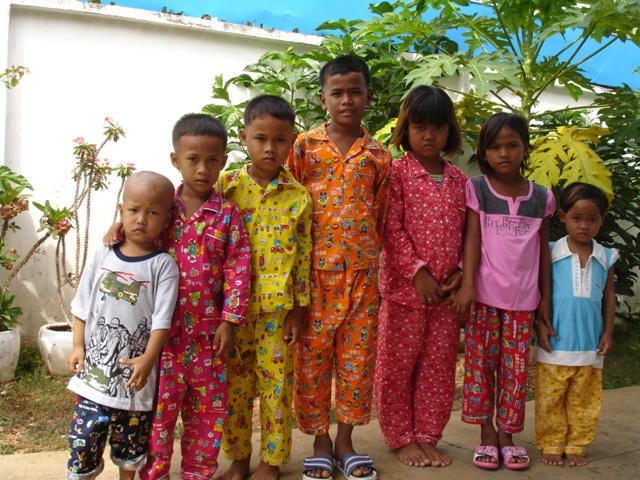 We received pictures yesterday of the newest 7 orphans rescued in Cambodia. One thing I do know is this, in a few months from now their countenance will completely change. The look of distrust, neglect and worry will be completely absent from their faces. It will be replaced with thankfulness and confidence that there will be a next meal and arms to hold them as they are loved and raised to know the Lord. God changes things and God certainly changes people - these children are precious to Him and their lives just changed forever. These are just the first 6 children rescued that will fill the BB7 orphanage that Crossroads is building. We will be able to save 18 more to fill this orphanage giving opportunity for interested families to sponsor these children. Pray for our leaders in Cambodia as they search for the special children that God wants them to rescue and as they try to carefully follow all the steps required to make these adoptions official and final! We are eternally blessed to be given this kind of opportunity to save these little ones!